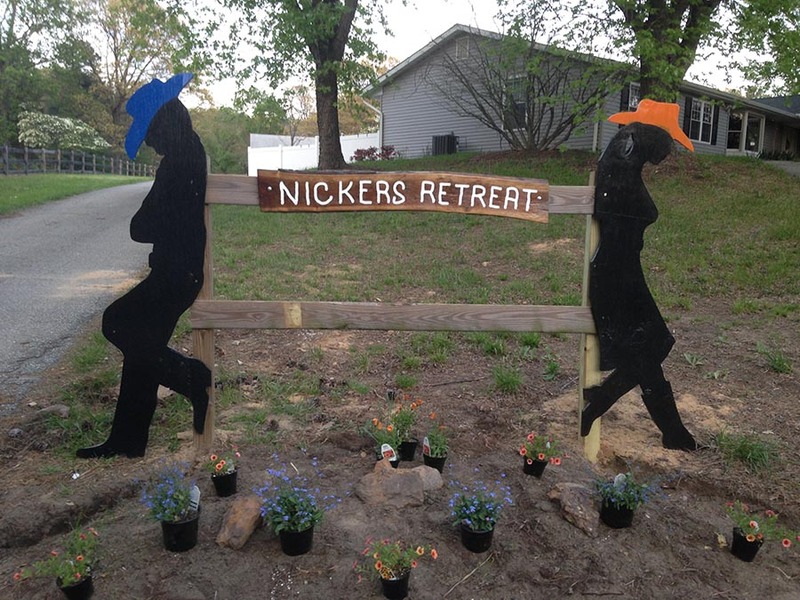 Nicker's Retreat, LLC caters to the individual horse. The fields offer plenty of shelter. They have access to an unlimited amount of hay and fresh water. We offer several different types of grain according to the individual horse's needs. The fields all have access to shade and run-in shelters. Please call to inquire about availability. Our ammenities include matted stalls, individual tack lockers, two riding rings, one ring with lights, wash stall, trails, and bathroom facilities. We also offer horseback riding lessons, summer camps and birthday parties!